On 19 December, the European Union Advisory Mission (EUAM) and the Administration of Verkhovna Rada of Ukraine signed a Memorandum of Understanding (MoU). 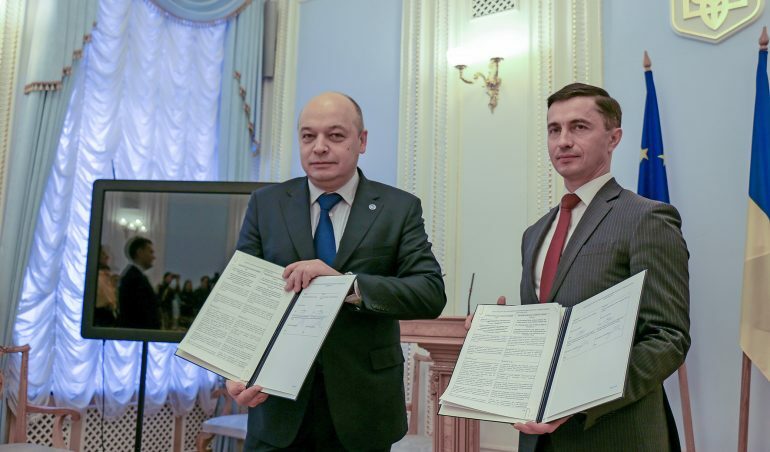 The document will enhance cooperation between the EUAM and Verkhovna Rada (Ukrainian parliament) in all legislative issues related to civilian security sector reform. The Memorandum will also enable Ukrainian legislation to be brought closer to EU standards by providing direct legislative expertise based on European practices. Besides expert support provided upon request, the EUAM and Verkhovna Rada can propose participation in their internal structures, like parliamentary committees and political factions, and involve international partners such as the NATO Liaison Office and Council of Europe. It makes the MoU not only a bilateral, but a multilateral cooperation agreement, bringing together different corporate cultures and competences to support the Verkhovna Rada and the reform process in Ukraine.